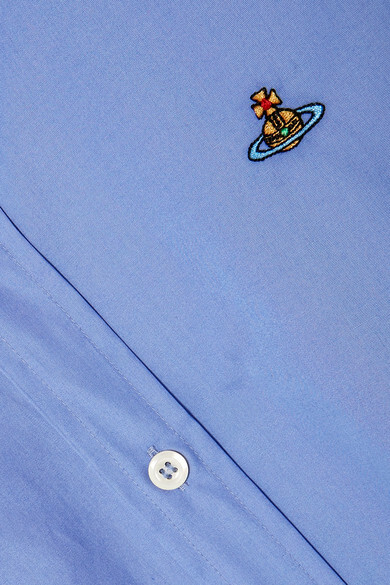 Vivienne Westwood's 'Orb' motif was originally designed in the '70s - it represents the importance of the past and the future. 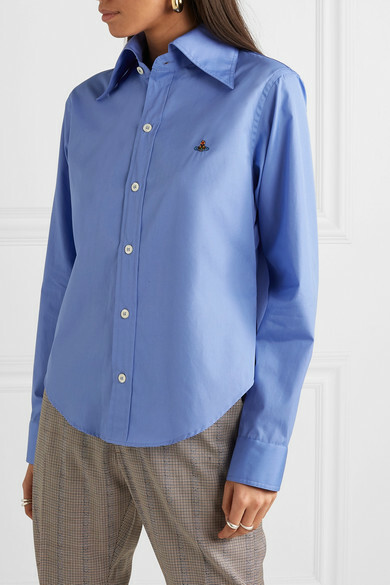 Embroidered with the iconic symbol, this shirt is cut for a slim fit from blue cotton-poplin. 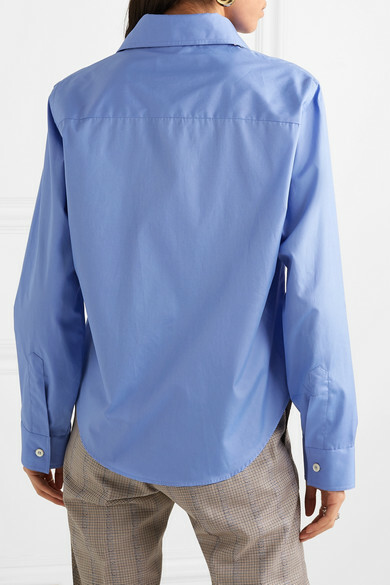 The exaggerated collar looks even more pronounced when you leave the top three buttons undone. 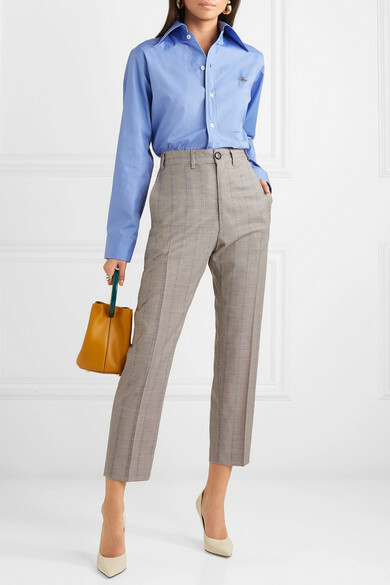 Shown here with: Vivienne Westwood Blazer, Vivienne Westwood Pants, Marni Bucket bag, Jimmy Choo Pumps, Sophie Buhai Ring, Jennifer Fisher Ring, Ellery Earrings.